Do you cook with your kids? My girls love to cook, but I will be honest, sometimes it can make the whole process a smidge more difficult. But this is why I recommend keeping the whole process simple. 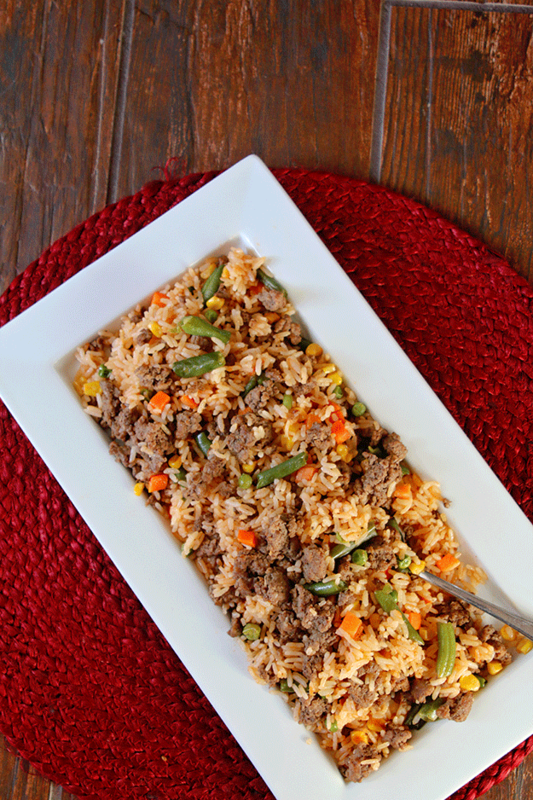 Simple steps and easy recipes, like my Mexican Fried Rice, can help give your kids the skills they need in the kitchen and keep the whole learning experience simple and fun. 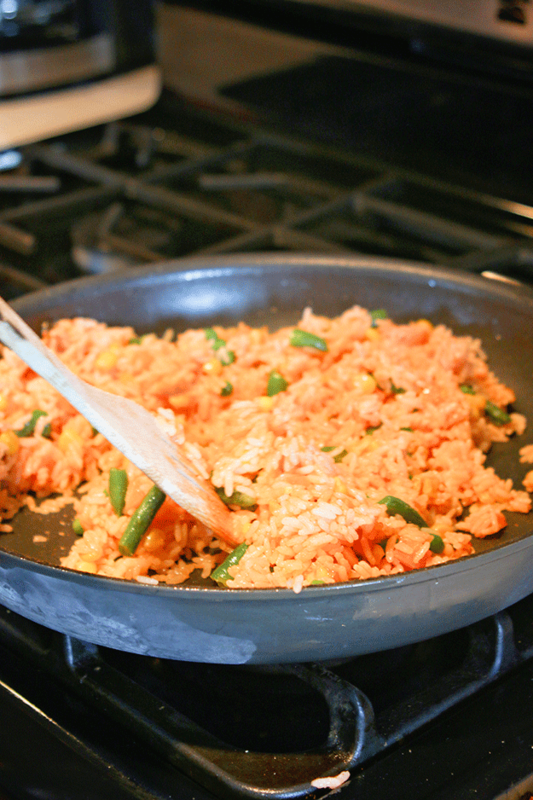 Be sure to celebrate International Cook with Your Kids Day on October 15th with my Mexican Fried Rice! Cooking is one of the household “chores” that I don’t think I would EVER get an “eye roll” or “long sigh” if I asked either of my girls to help. They LOVE it and are always eager to be my assistant. 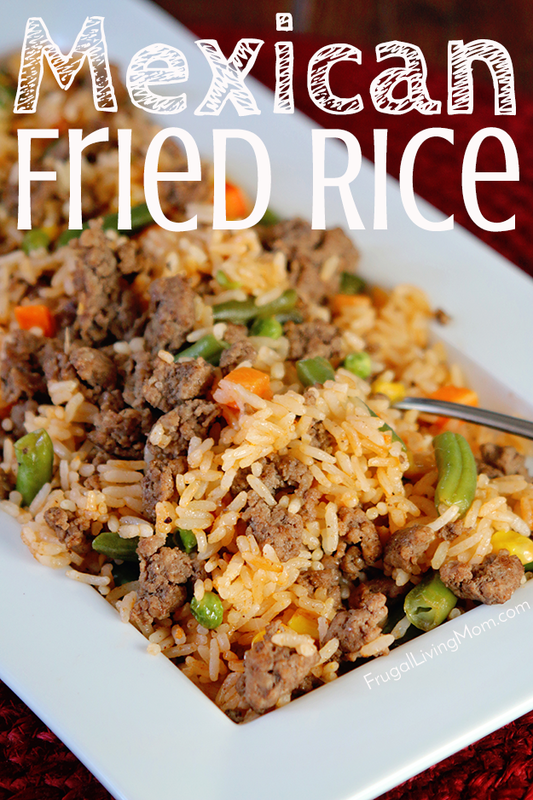 To make my Mexican Fried Rice Uncle Ben’s Boil In Bag Rice makes the recipe easy even in this busy, Fall season. My daughter, Lynn helped me put together the whole recipe in no time flat. The Uncle Ben’s Boil In Bag white rice only takes ten minutes after you boil the water and you can prepare it while getting all the other ingredients ready, making dinner a snap. 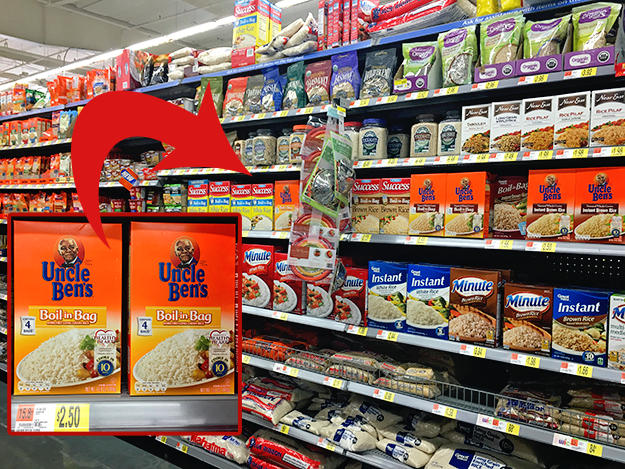 Tip: Get $0.75 off Ready Rice products exclusively at Walmart! To make my Mexican Fried Rice, first I browned one pound of ground beef, drained and set aside. 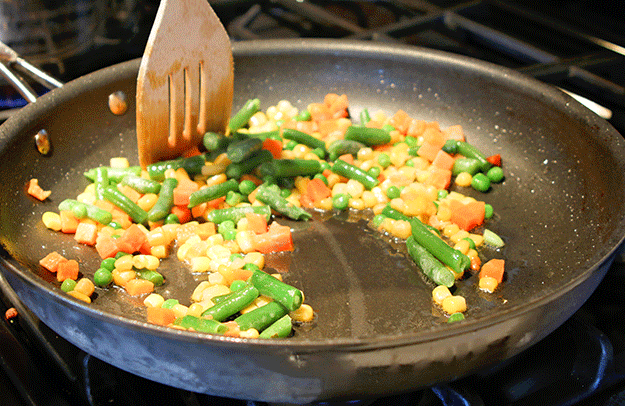 Then I heated two tablespoon oil in a large skillet (or a wok) over medium heat and added in the defrosted and drained veggie mix. Once you get the veggies in the oil go ahead and turn up the heat to high. Stir-fry for 1-2 minutes. Lastly, add the meat and cook until it is heated through for 2-3 minutes. 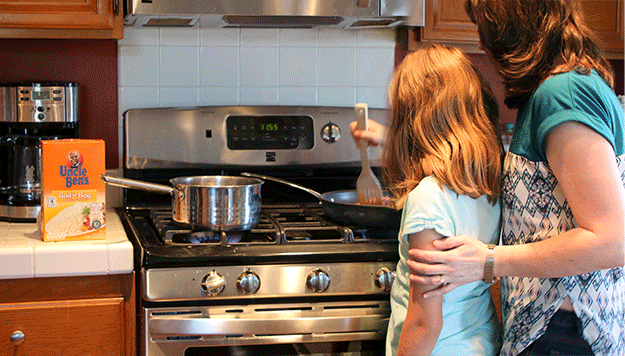 What do you think about cooking with your kids? What if you made a family cooking night? And don’t forget to enter Uncle Ben’s Beginners Contest and have a chance to win $15,000 for your family and $30,000 towards a cafeteria makeover for your child’s school! 2 bags of Uncle Ben's Boil in Bag White Rice (there are 4 per box), Prepared to package directions. 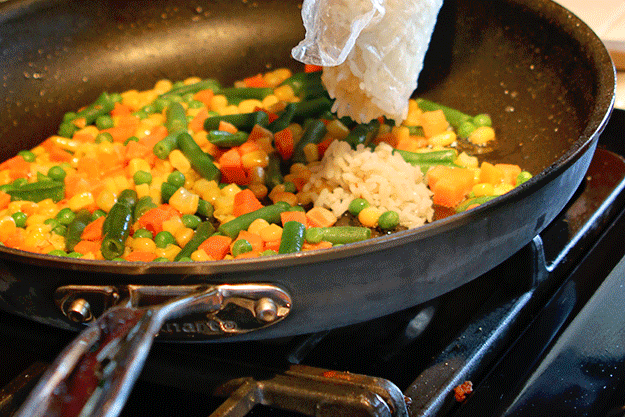 1 bag of frozen mixed vegetables, de-thawed and drained. Add in the defrosted and drained veggie mix. Once the veggies in the oil go ahead and turn up the heat to high. 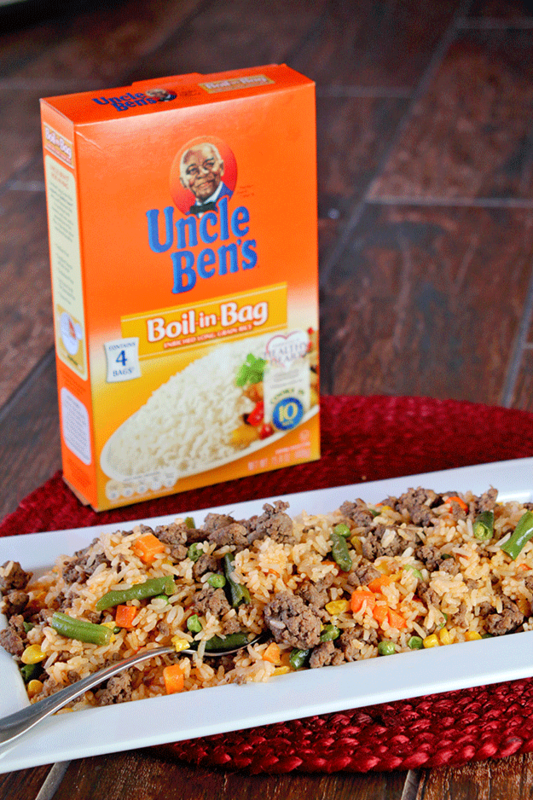 Add cooked and drained Uncle Ben's Boil In Bag White Rice, taco sauce and salt to the skillet and combine. Add the meat and cook until it is heated through, 2-3 minutes.